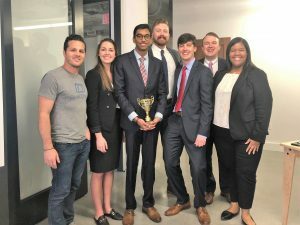 A team fielded by The University of Alabama’s Manderson Graduate School of Business won first place in the 7th annual Read more. 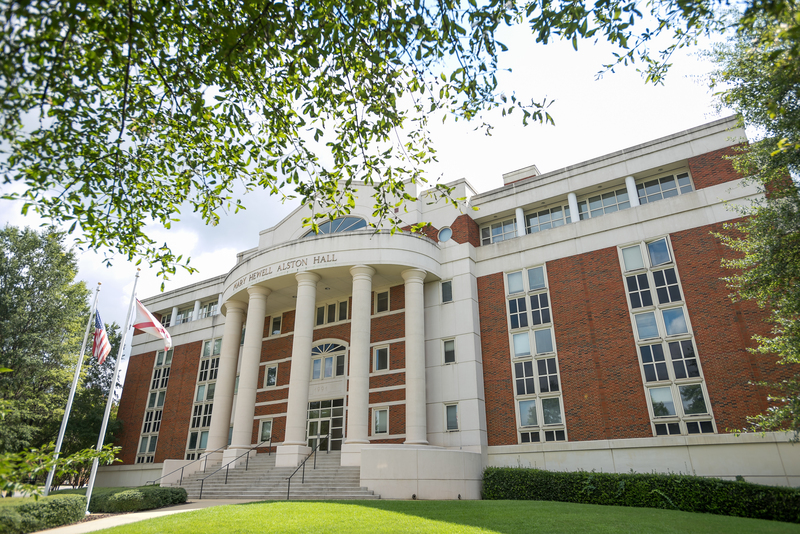 The MBA program at The University of Alabama’s Manderson Graduate School of Business has been recognized as among the best in the Read more. With nearly 60,000 alumni doing great things all over the globe, highly-ranked academic programs, and a dynamic outreach and research Read more. 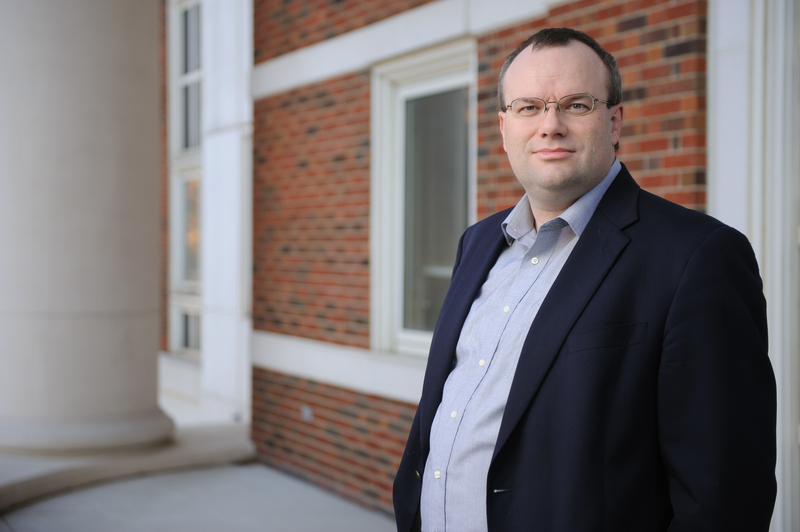 The Tuscaloosa News recently selected Institute of Business Analytics Associate Director Matthew Hudnall as one of its “40 Under 40” Read more. The International Business Symposium gives students an exciting opportunity to learn from experts in the dynamic field of global business. Read more. 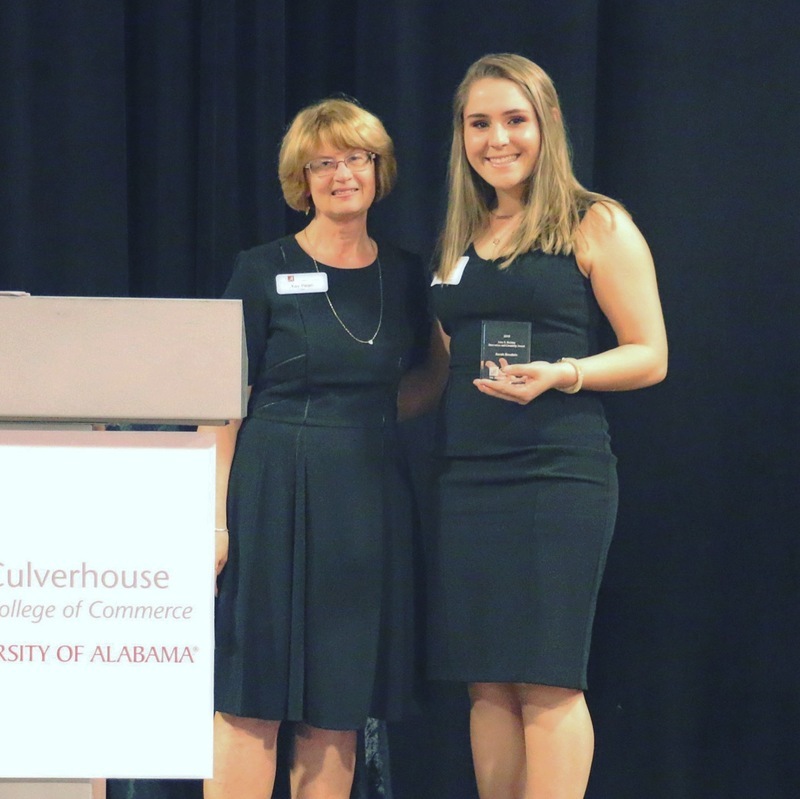 In a festive, colorful celebration at Tuscaloosa’s River Market on Wednesday, April 3, the Culverhouse College of Business recognized the Read more. 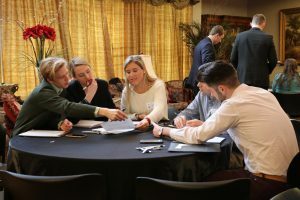 TUSCALOOSA, Ala.— Students representing majors across The University of Alabama campus pitched their business plans to judges in the Edward Read more. 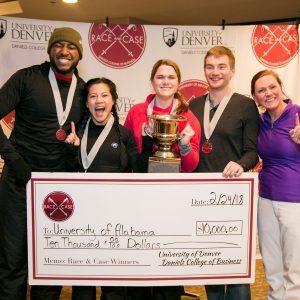 Bama Blitz 2019 Is Here! 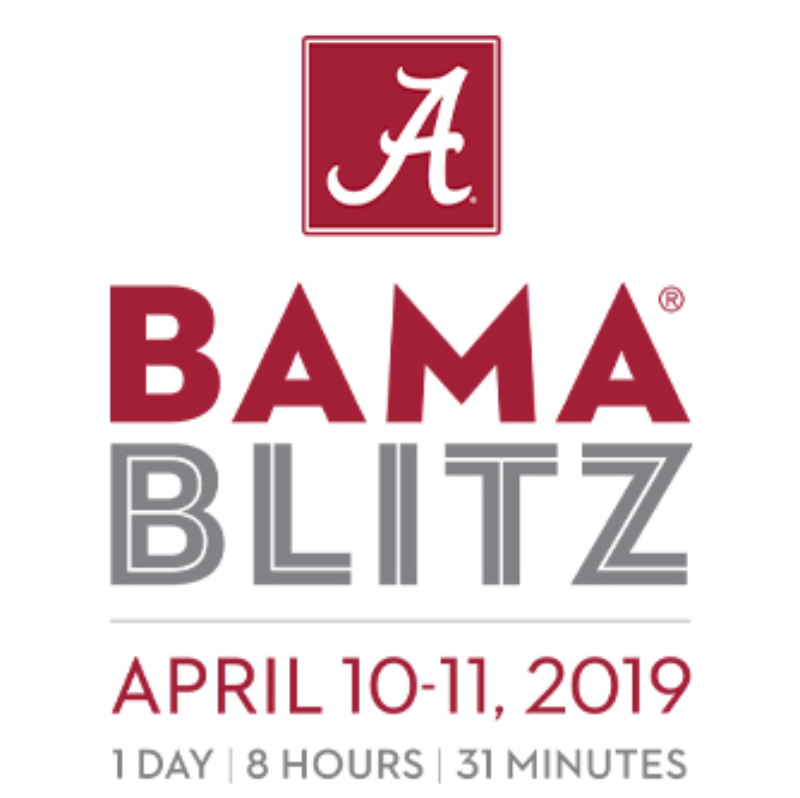 Bama Blitz, The University of Alabama’s inspiring online fundraising campaign, is slated to start Wednesday, April 10 at noon and Read more. 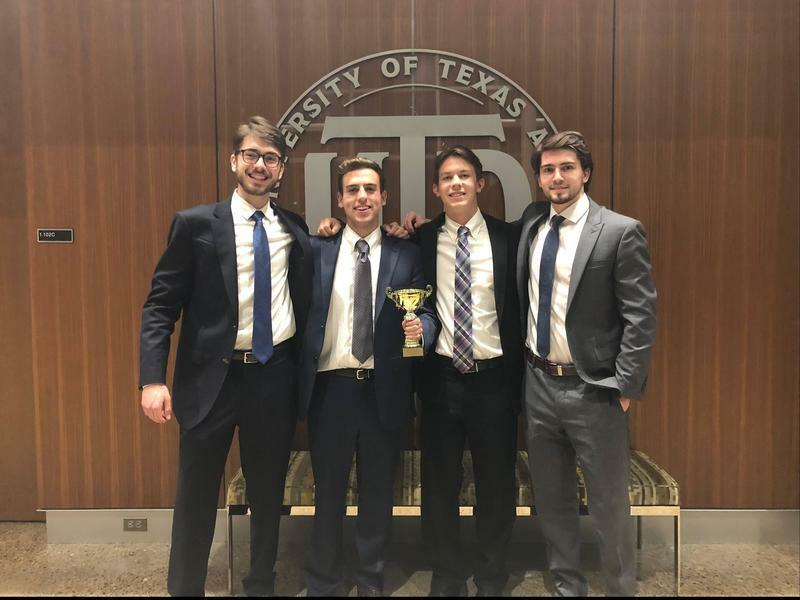 Graduate School of Business’ MBA Case Team brought home a first place victory at IDEAcorps MBA Consulting Challenge, hosted by Read more. 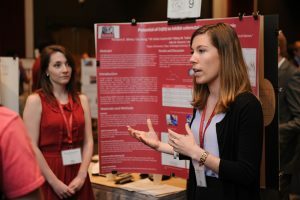 Nearly 500 undergraduate students at The University of Alabama are highlighting their research and creative projects during the Undergraduate Research Read more. 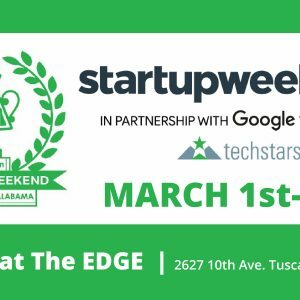 Entrepreneurs flocked to the EDGE for Startup Weekend Tuscaloosa, March 1-3. 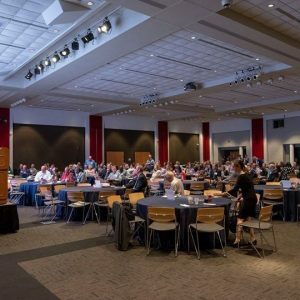 Hosted by the Alabama Entrepreneurship Institute, the sixth annual Read more. 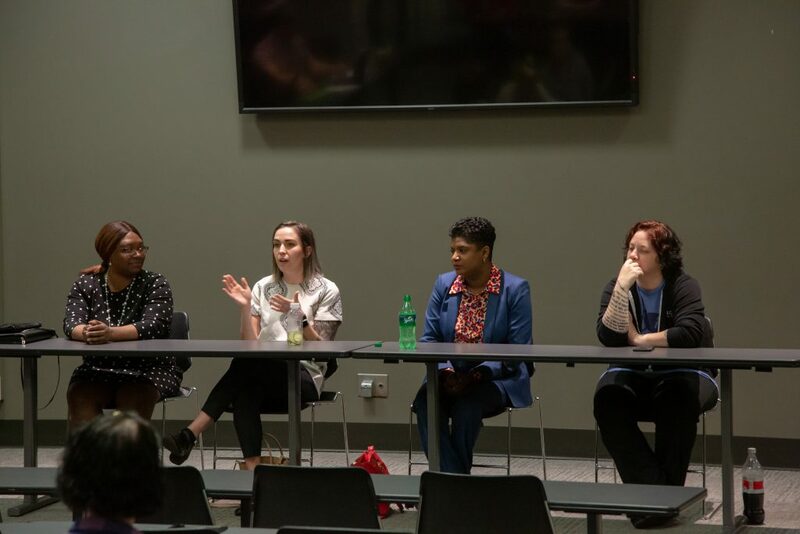 In honor and recognition of Women’s History Month and Pay Equity Week, a panel of four women spoke with a Read more. Best known as the “Accountant Who Beat Halliburton,” Anthony Menendez is widely recognized for his courageous whistleblower efforts in a decade-long legal battle Read more. 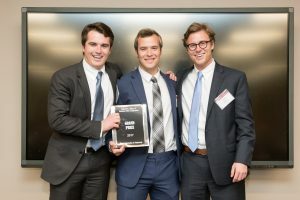 At the 16th Annual Race & Case Competition on March 1-2, hosted by the University of Denver’s Daniels College of Business, Read more. Written by Breanna Pianfetti Caught in uncertainty and faced with a dilemma of figuring out where to go from here, Read more. 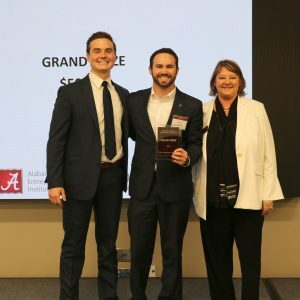 TUSCALOOSA, Ala. — The Culverhouse College of Business at The University of Alabama recently took home top professional awards from Read more. 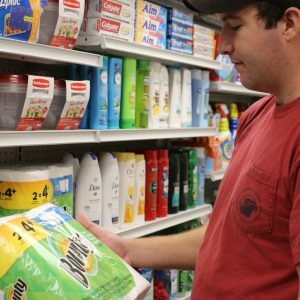 TUSCALOOSA, Ala.—University of Alabama students who have an entrepreneurial spirit can turn their business ideas into a reality with the Read more. 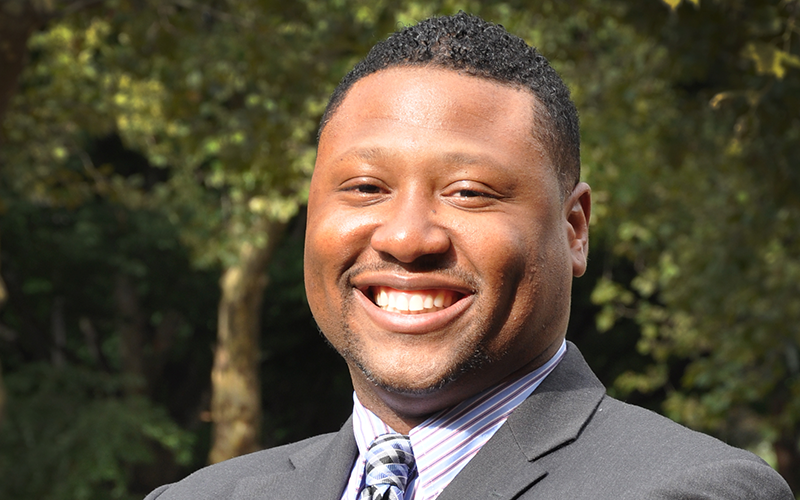 As part of Black History Month, the Culverhouse College of Business celebrates the successes of our alumni. 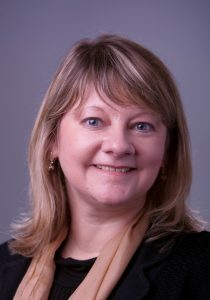 Culverhouse Director of Read more. 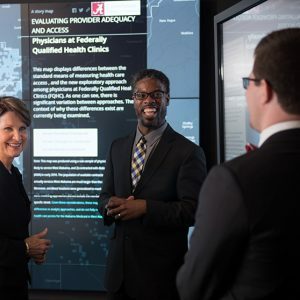 Tuscaloosa AL – The University of Alabama Center for Economic Development (UACED) and its partner organizations announce the kick-off of Read more. TUSCALOOSA, Ala. — Do you have a product or service idea but don’t know how to get started? The power Read more. 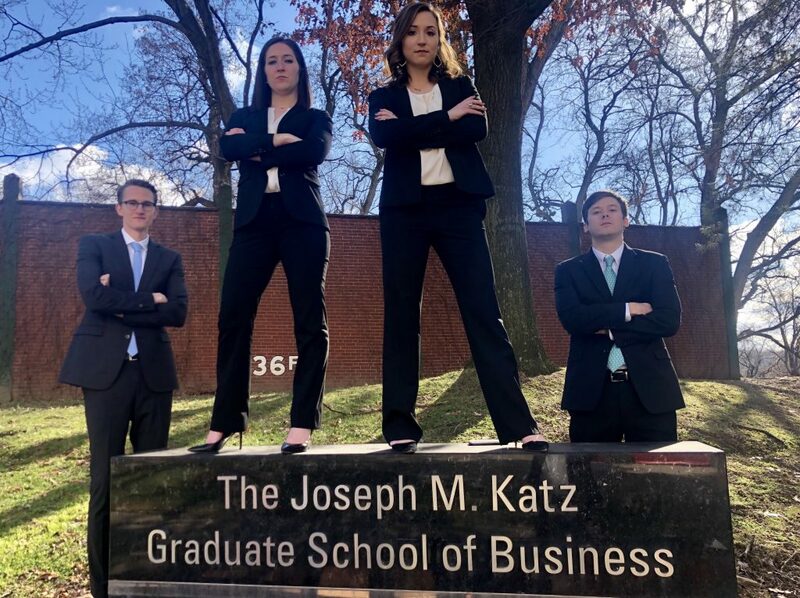 Above, from left to right, Manderson MBA students James McCool, Esther Workman, Lacey Cencula, and Justin Chambers strike a pose Read more. 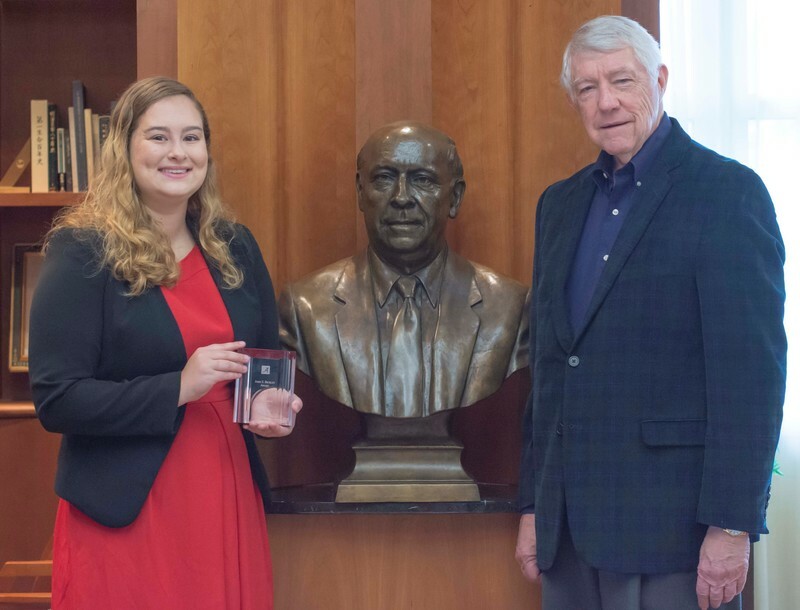 The University of Alabama annually recognizes top individuals on campus for scholarship, leadership and service with the Premier Awards, distributed at Read more. 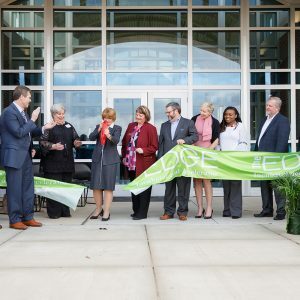 TUSCALOOSA, Ala. — The EDGE, a 26,000 square-foot business incubator and innovation space for entrepreneurs, officially opened its doors in Read more. 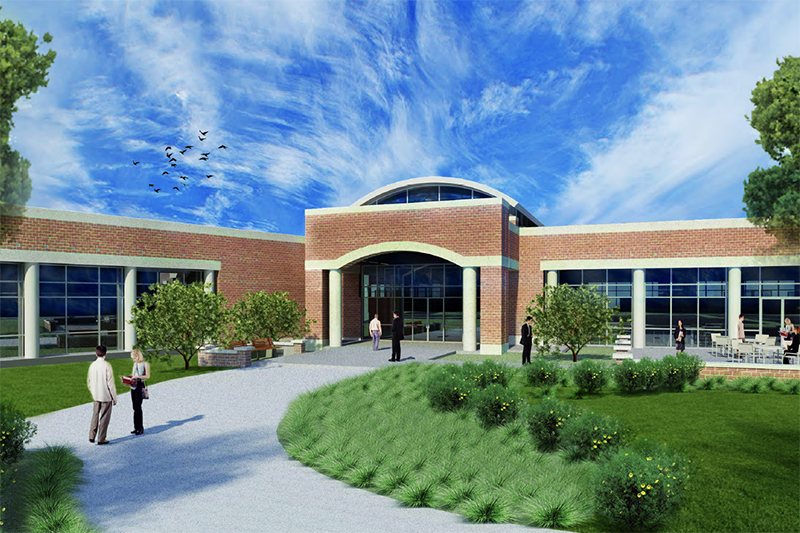 TUSCALOOSA, Ala. — The EDGE, a high-tech facility designed to support entrepreneurial collaboration and innovation in west Alabama, will have Read more. 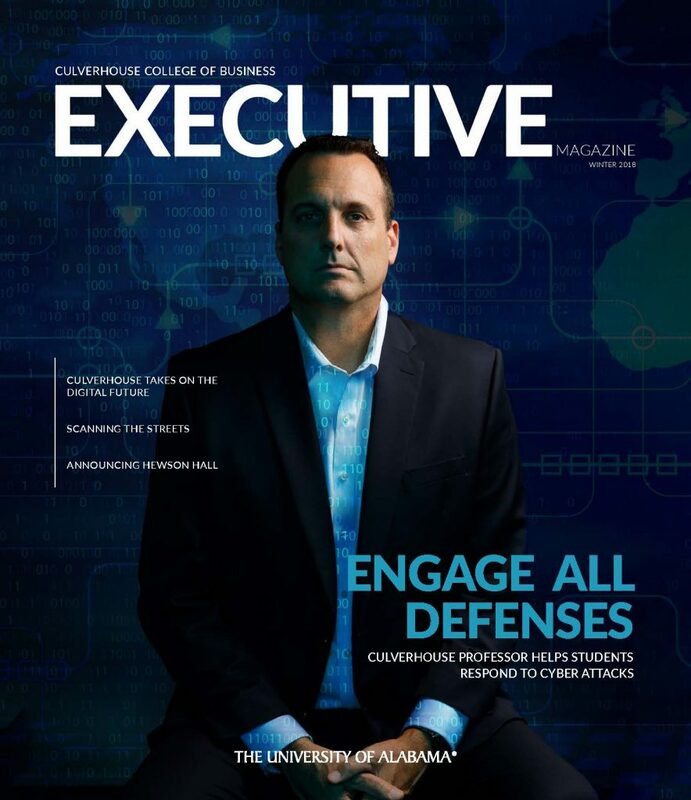 The Executive, the Culverhouse College of Business magazine, has published its latest issue. Available to read in a digitally-optimized version, Read more. 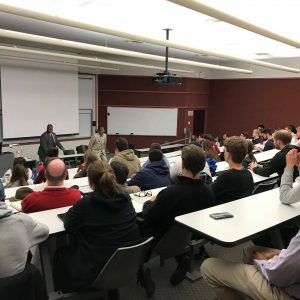 Last Thursday, Dr. Derryn Moten, the chair of the History and Political Science Department at Alabama State University, visited Culverhouse Read more. 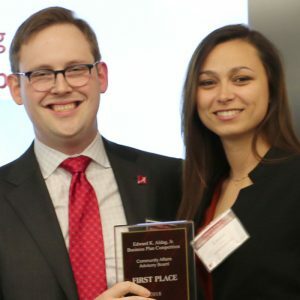 Written by Zach Thomas It’s really great to be a winner and students in Culverhouse’s Manderson Graduate School of Business Read more. 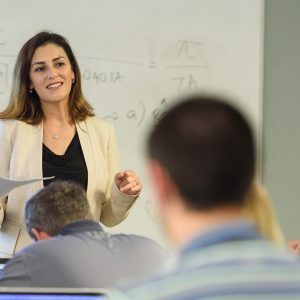 The Manderson Graduate School of Business at The University of Alabama is proud to announce that its online master’s programs Read more. 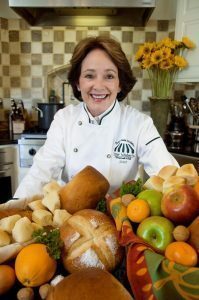 Mary Ellen Sinnott’s time at The University of Alabama has been filled with more opportunities than she could have imagined. Read more. 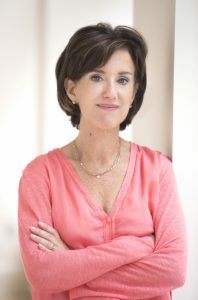 Susan Packard, a visionary media executive best known as a co-founder of Scripps Networks Interactive and former chief operating officer Read more. 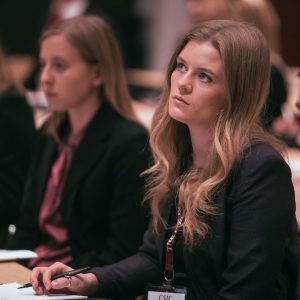 The Capstone Student Investment Conference, or CSIC, is a one-of-a-kind event, bringing together students and professionals from around the country who are Read more. By Victoria Martinez If you were to call upon your talents and resources, how would you help your community? Culverhouse Read more. 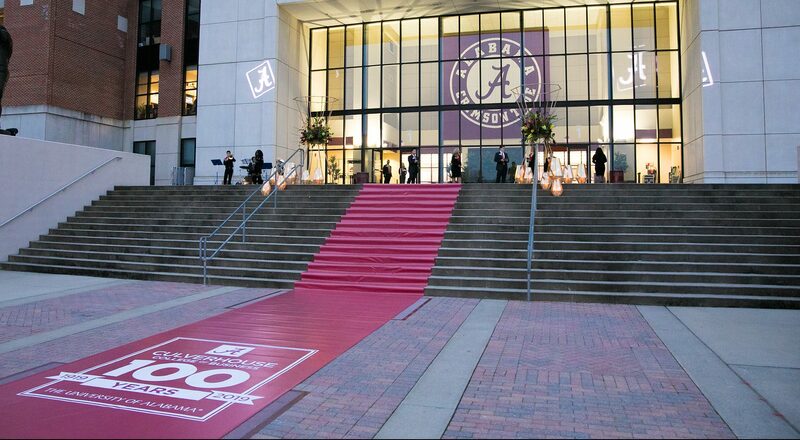 TUSCALOOSA, Ala. – The Culverhouse College of Business at The University of Alabama is celebrating 100 years of transforming business Read more. 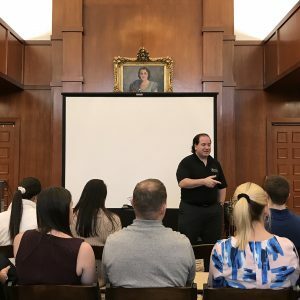 Students in the Manderson Graduate School of Business’s specialized master’s programs can now join a new group that seeks to Read more. 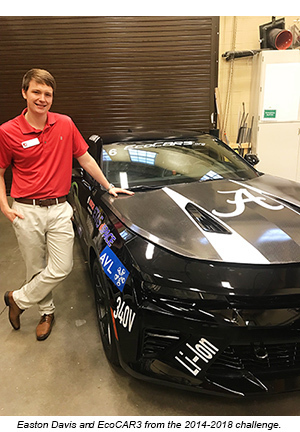 Written by Breanna Pianfetti Culverhouse student Easton Davis is spearheading a team of University of Alabama students from several campus Read more. 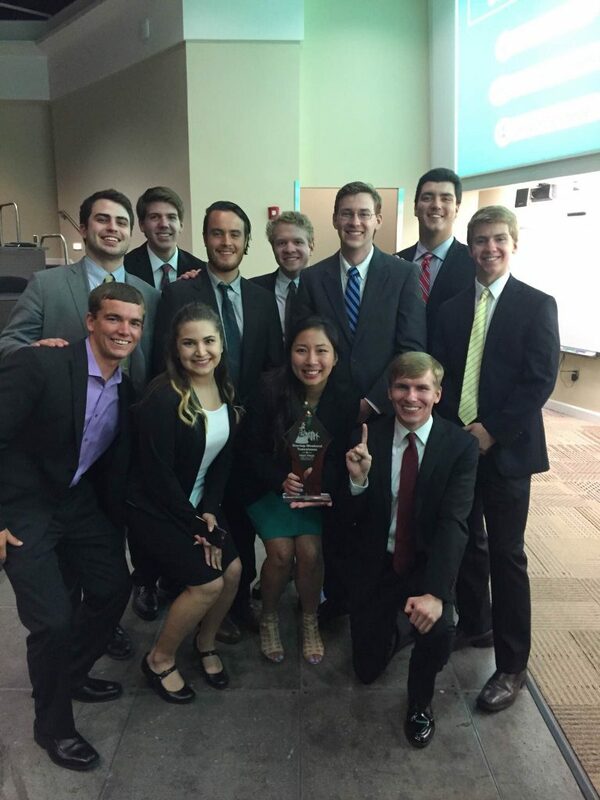 Written by Breanna Pianfetti Each year, there is one week in November that celebrates entrepreneurs and promotes efforts to Read more. 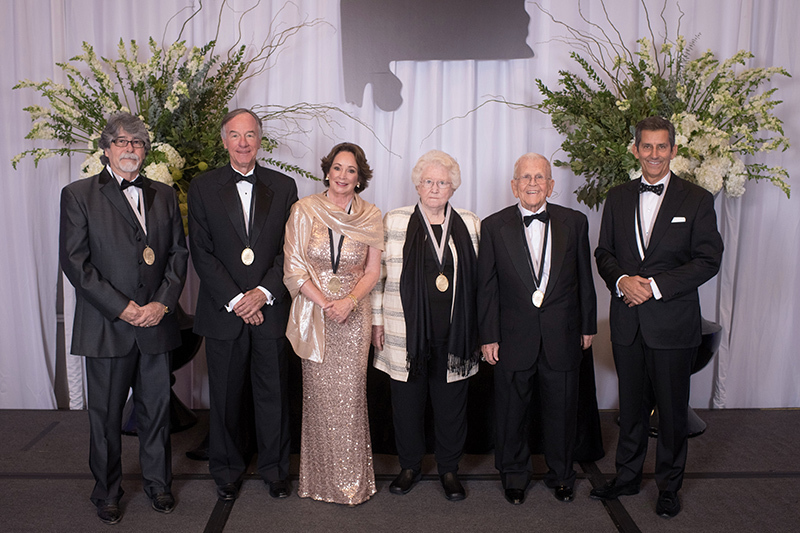 In a festive, black-tie celebration Thursday, November 15, 2018, the Alabama Business Hall of Fameinducted seven new members, all of Read more. 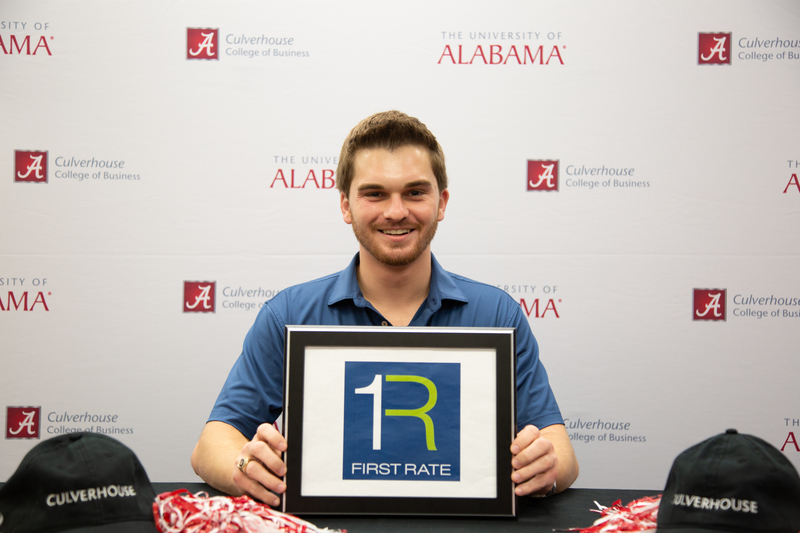 More than 9,000 future business leaders roam the halls of the Culverhouse College of Business every day and each one Read more. 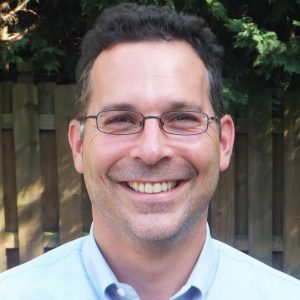 John List, a highly-respected professor of economics at the University of Chicago and chief economic advisor to ridesharing company Lyft... Read more. 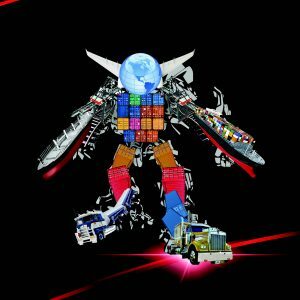 This year, the program focused on tech-driven disruption in the industry. Eighteen experts covered various aspects of insurance disruption... Read more. 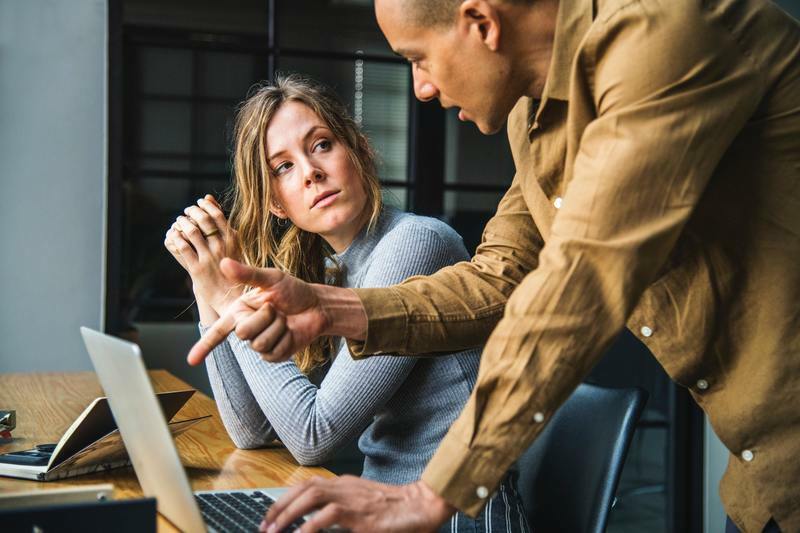 Though employees may like their work to cater to their individual preferences, they are predictably more satisfied... Read more. 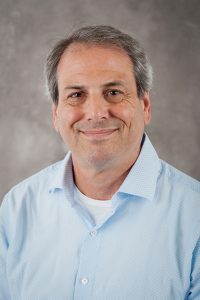 TUSCALOOSA, Ala. — People with psychopathic tendencies are slightly more likely to be a company boss, but a new study finds Read more. 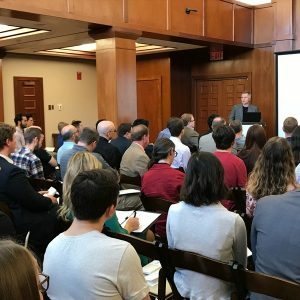 Last Thursday, UA faculty and students attended the Business Analytics Symposium where several key players in data analytics converged at Read more. Across the country, opioid abuse has reached epidemic levels, severely impacting communities and straining public safety resources... Read more. 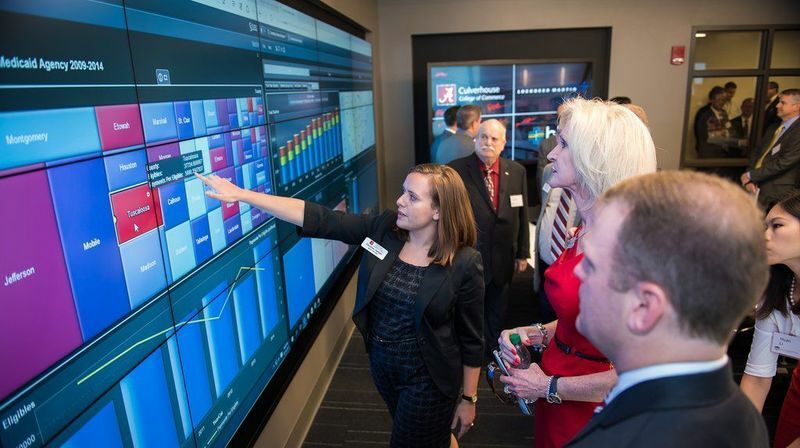 TUSCALOOSA, Ala. — Businesses across nearly every sector are hiring data analytics experts to win over customers, identify growth opportunities, Read more. 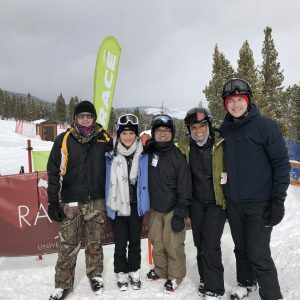 Nine Culverhouse insurance and risk management students traveled to Chicago last weekend to attend the 47th Annual Gamma Iota Sigma Read more. 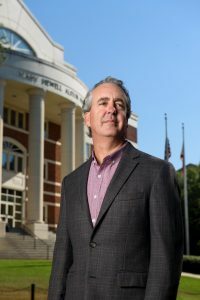 Dr. Rich Houston, the director of the Culverhouse School of Accountancy and the Hilton Dean Professor of Accounting, was selected as one of the Read more. 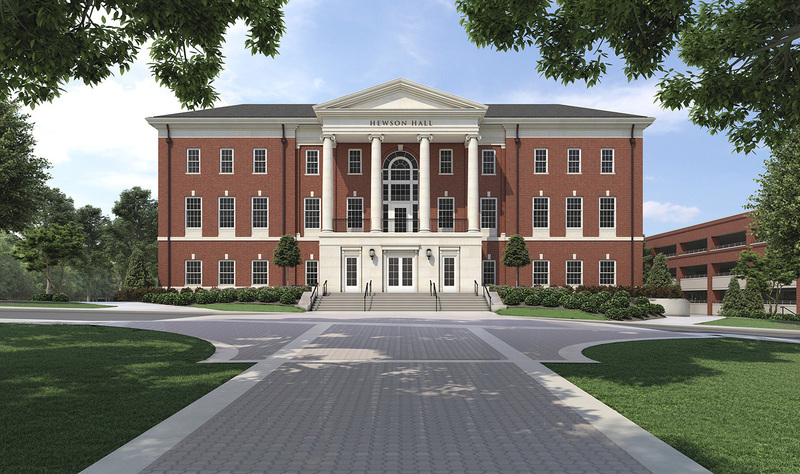 TUSCALOOSA, Ala. — The Culverhouse College of Business at The University of Alabama today announced plans for the construction of a Read more. 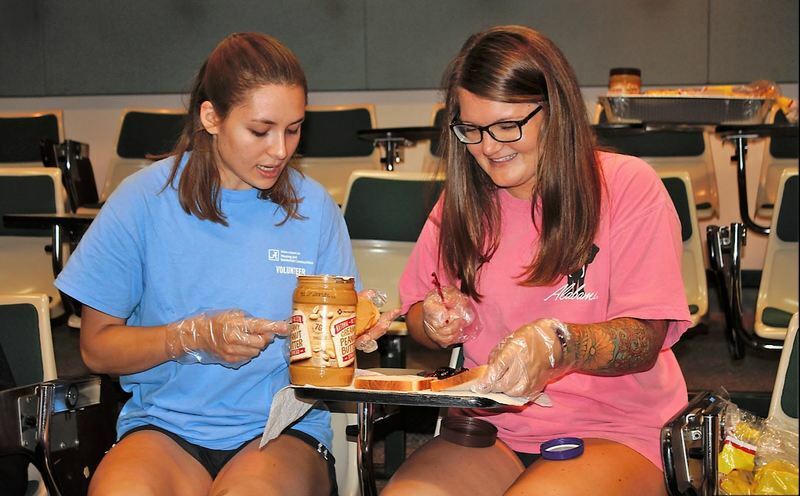 By Breanna Pianfetti Management Information Systems Intro to Business Programming course donated supplies, sandwiches and nearly $1,500 to the Tuscaloosa Soup Bowl, a non-profit Read more. 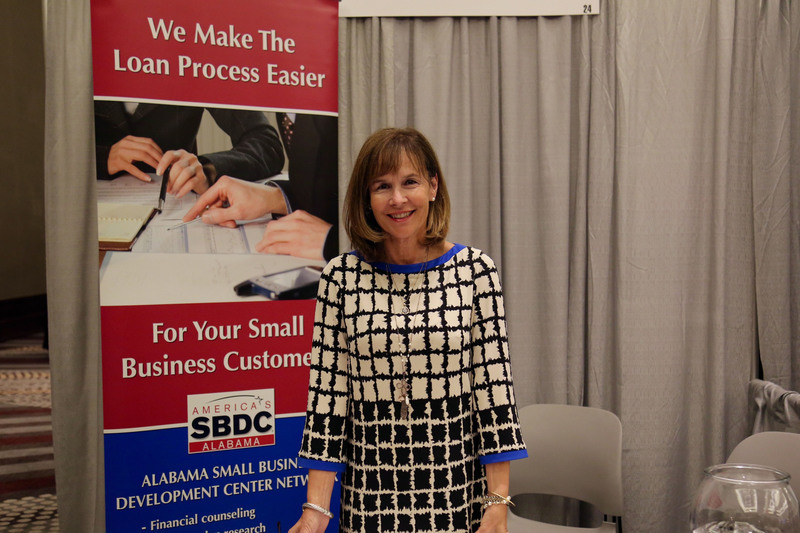 Over the last two years, the Alabama SBDC Network has helped companies obtain over $131 million in new capital, Read more. 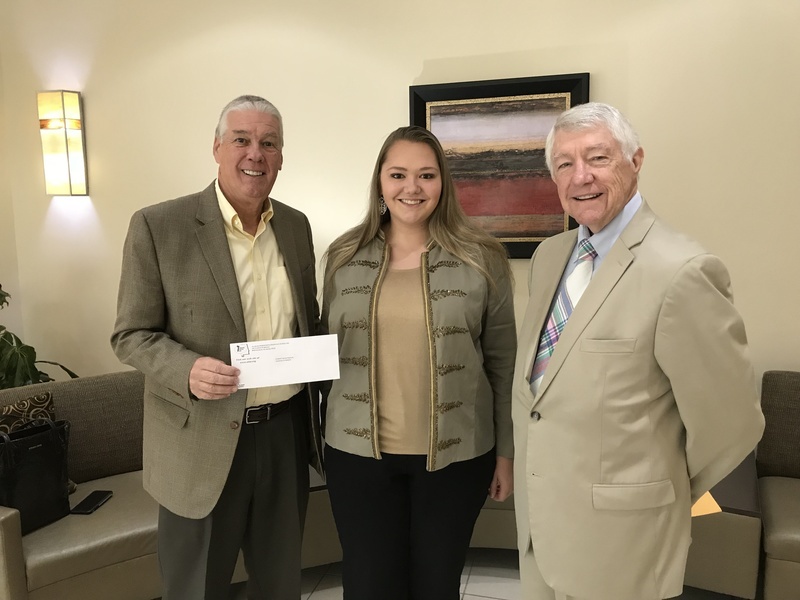 Alabama Independent Insurance Agents in Birmingham, Alabama recently awarded Culverhouse College of Business student Elizabeth Peplinski with their highly Read more. 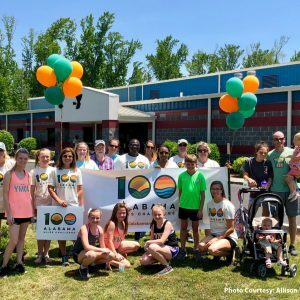 By Breanna Pianfetti TUSCALOOSA, AL – Adaptive Reuse: Turning Blight into Bright, written by Alabama Center for Real Estate Director of Read more. 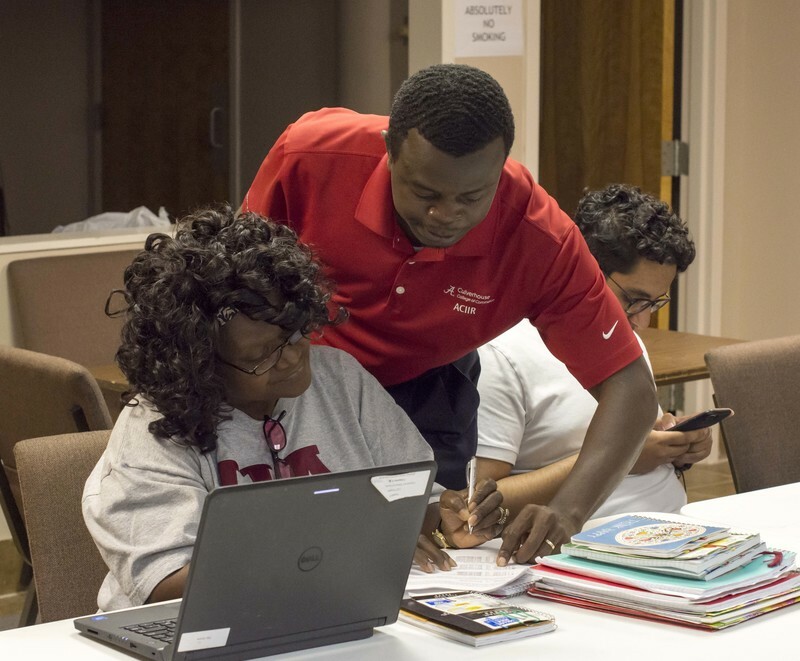 TUSCALOOSA, Ala.– The Culverhouse LIFT, or Learning Initiative and Financial Training, will begin classes for its fall term on Monday, Sept. Read more. 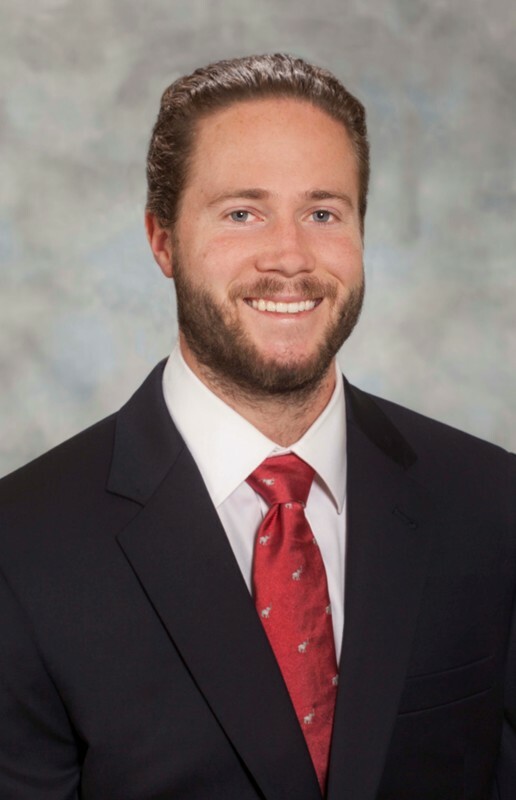 Written by Joe Barnhill, MBA Class of 2020 Tuscaloosa, AL- The Manderson Graduate School of Business at The University of Read more. 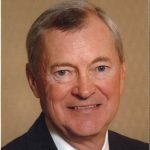 TUSCALOOSA, AL – Culverhouse grad Sean Jennings was recently named President of Waste Pro USA, Inc., the country’s third largest Read more. 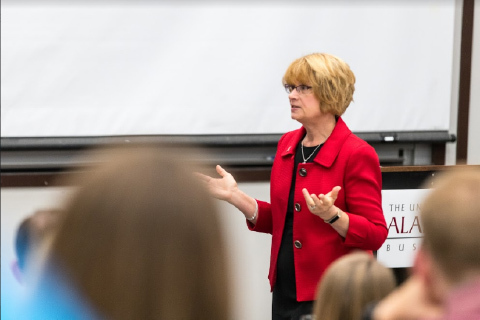 In honor of the 125 years of Women at the Capstone campaign coordinated by The University of Alabama, Culverhouse College of Business Read more. Culverhouse Congrats Summer 2018 Grads! 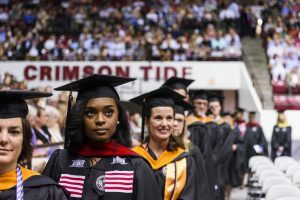 On Saturday, August 4, The University of Alabama hosted its Summer 2018 commencement ceremonies at Coleman Coliseum, with 269 Culverhouse Read more. 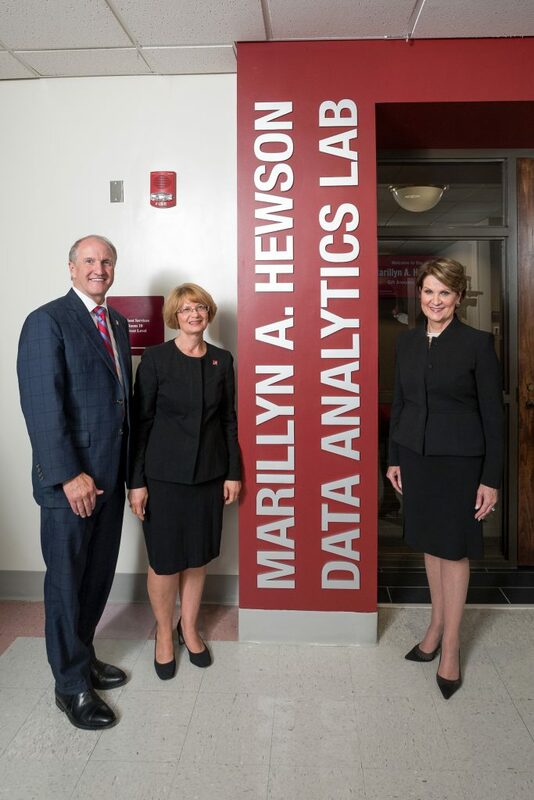 Culverhouse grad Marillyn A. Hewson, chairman, president and CEO of Lockheed Martin Corp., was named 2018 Chief Executive of Read more. 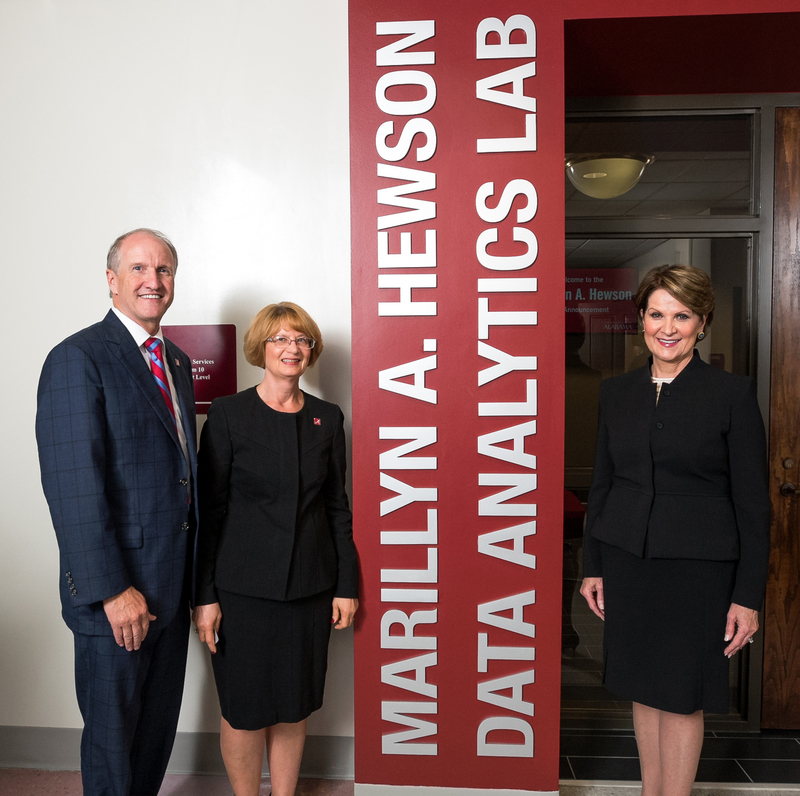 TUSCALOOSA, Ala. — Marillyn A. Hewson, chairman, president and CEO of Lockheed Martin Corp., and her husband, James, have made Read more. 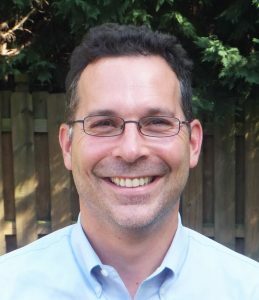 Management faculty member Dr. Peter Harms published research on authoritarian leadership that was recently cited in an article from the Read more. 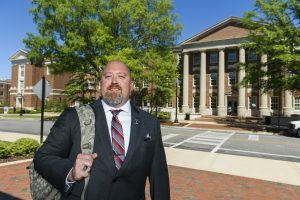 TUSCALOOSA, Ala. — The University of Alabama Culverhouse College of Business announced seven business professionals to be inducted into the Alabama Read more. 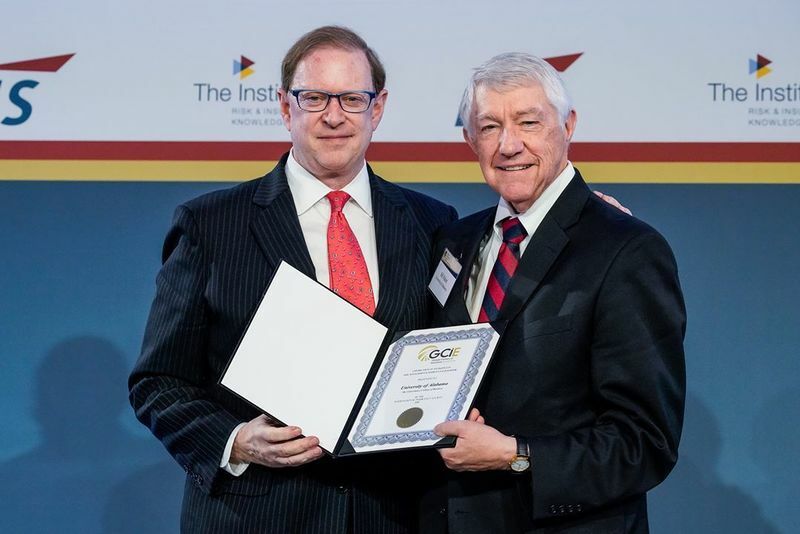 Written by Reginald Allison II The University of Alabama has been awarded the Global Center of Insurance Excellence (GCIE) Read more. 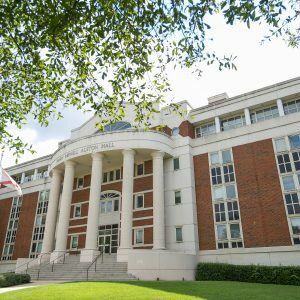 The Alabama Entrepreneurship Institute and The Edge Incubator and Accelerator are in the process of moving to a new location. Read more. 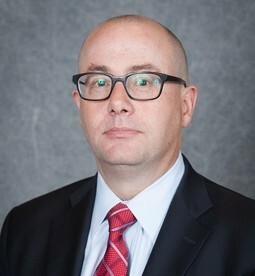 TUSCALOOSA, AL –– Michael Brooks has been appointed by the U.S. Secretary of Commerce to the Alabama District Export Council (DEC), a Read more. 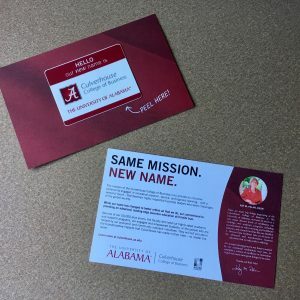 The Alabama Center for Insurance Information and Research began partnering with the Culverhouse LIFT program in 2017 to help advance Read more. 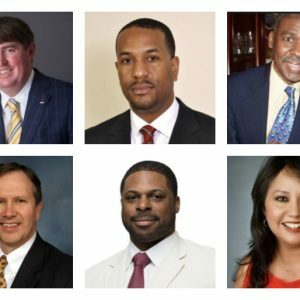 TUSCALOOSA, Ala. — Six new members have been named to the advisory board of trustees of the Alabama Center for Real Read more. 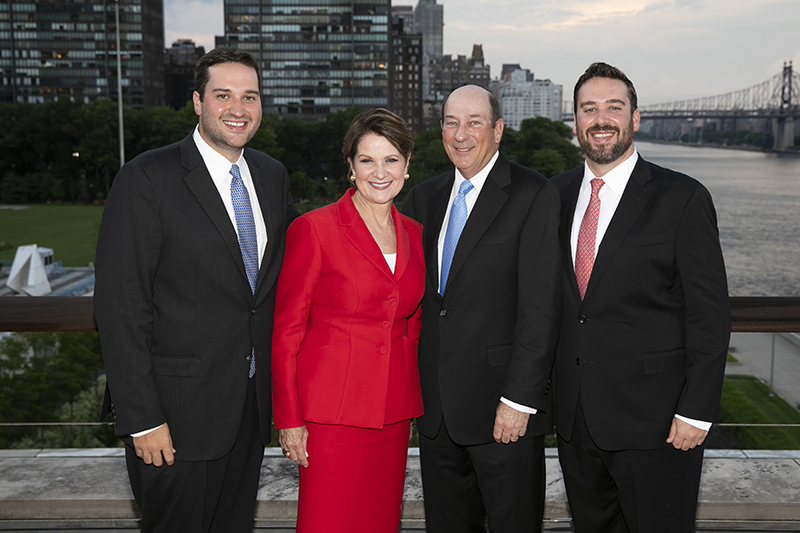 Culverhouse grad Marillyn A. Hewson, chairman, president and CEO of Lockheed Martin Corp., has been named 2018 Chief Executive of Read more. 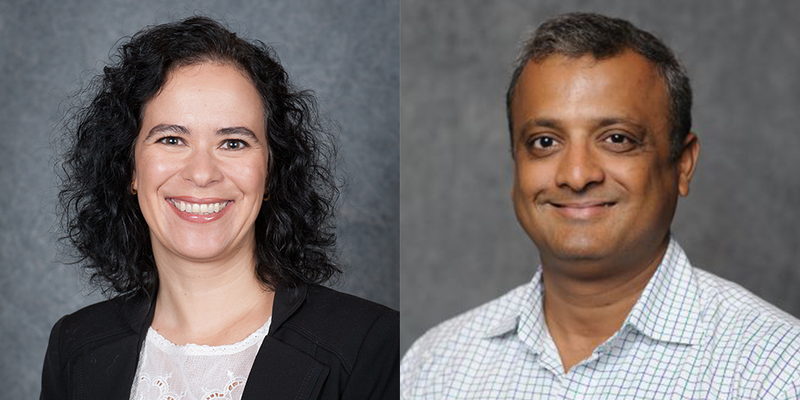 In the spring 2018 semester, 98 Manderson Graduate School of Business MBA students received the UA/SAS joint data mining Read more. 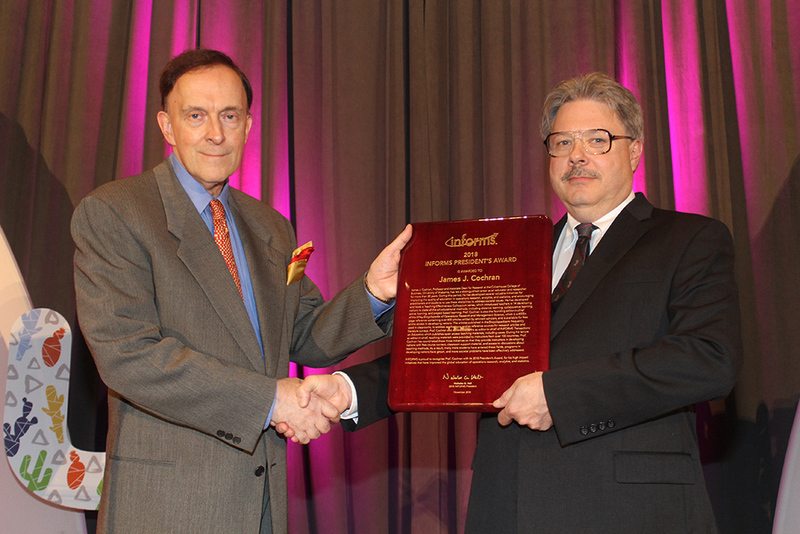 Trevor Bain, a retired professor of management, was recently awarded the 2018 LERA Fellow by the Labor and Employment Relations Read more. 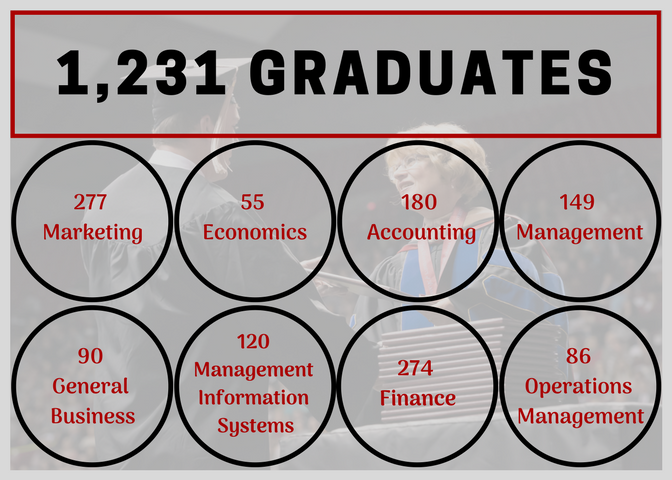 Tomorrow, 1,231 graduates will receive their undergraduate degree from the Culverhouse College of Business. Culverhouse houses five academic departments: The Culverhouse Read more. 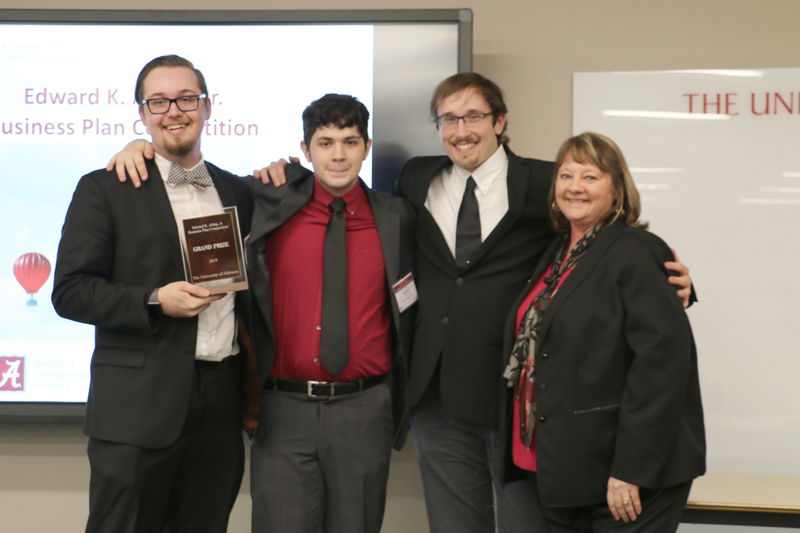 Last week, the Career Center at Culverhouse hosted its annual Spring Senior and Intern Send-Offs. The purpose of these events Read more. 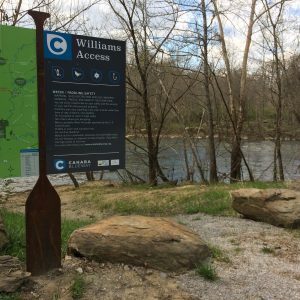 TUSCALOOSA, Ala. – All Alabamians are encouraged to get outside and walk, run, hike, bike, swim, paddle, ride, or roll Read more. 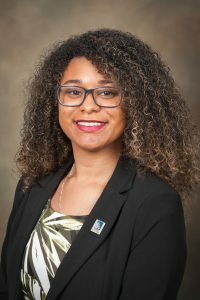 Written by Breanna Pianfetti Dr. Oscar Holmes IV was recently named to the 40 Under 40 World’s Best Business School Professors in Read more. TUSCALOOSA, AL — Drs. 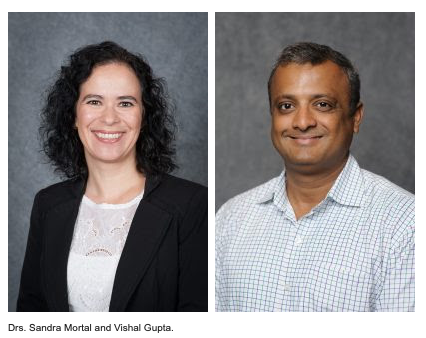 Sandra Mortal and Vishal Gupta of the Culverhouse College of Business recently have published research on pay Read more. 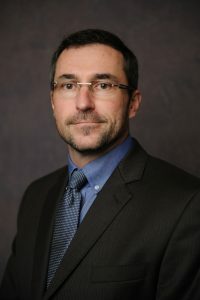 Dr. George Zanjani, Frank Park Samford Chairholder in Insurance, was selected as a panelist for the S.S. Huebner Foundation Doctoral Colloquium. This Read more. 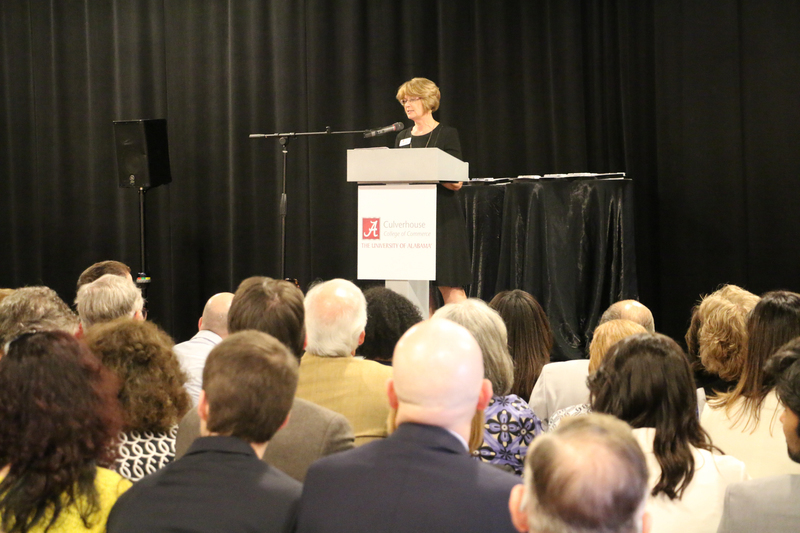 TUSCALOOSA, AL — On Friday, April 13th, the Culverhouse College of Business hosted the annual Faculty & Staff Awards Ceremony Read more. 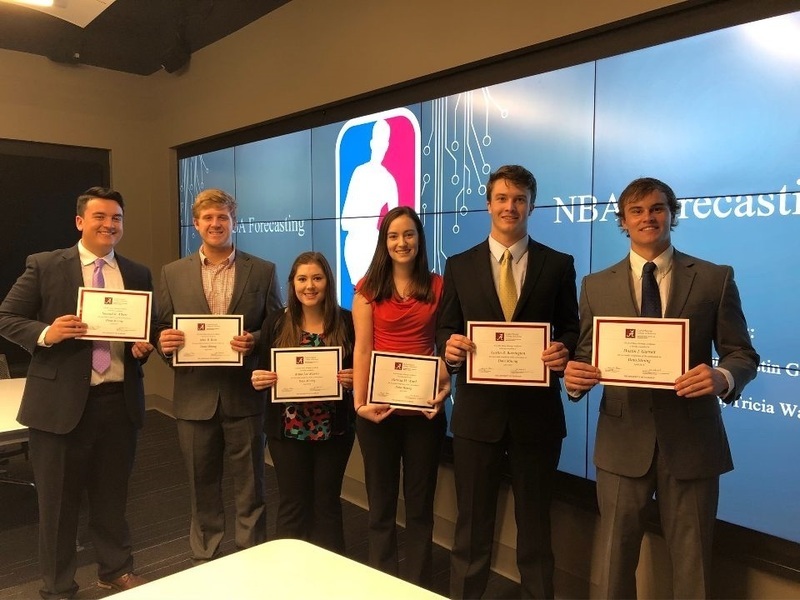 TUSCALOOSA, Ala. — Thirteen Culverhouse College of Business students represented The University of Alabama chapter of the Association for Read more. Written by Reginald Allison II Dean Kay Palan awarded Sarah Boudoin and Dr. David Mothersbaugh the 2018 John S. Read more. 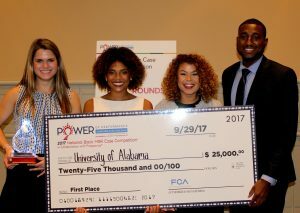 TUSCALOOSA, Ala. — April 11, 2018 — University of Alabama students and startups are invited to compete for cash prizes Read more. 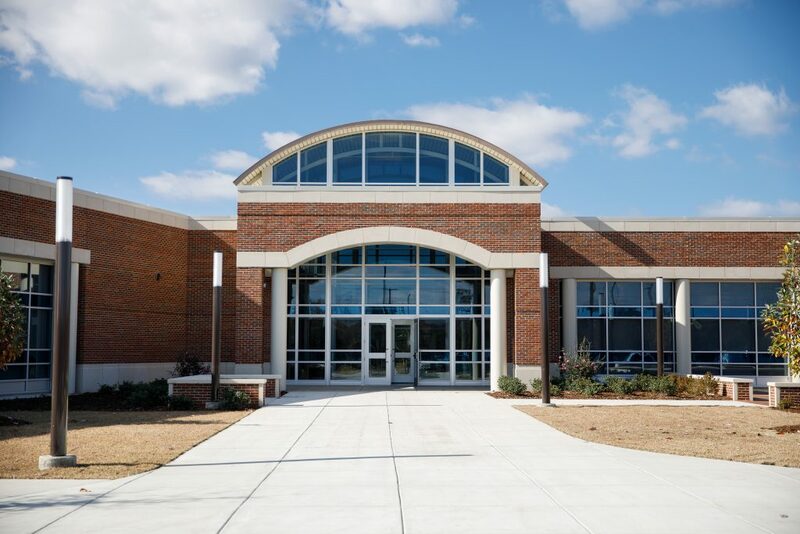 TUSCALOOSA, AL., April 6, 2018 – The business college at The University of Alabama today announces that it is implementing its Read more. 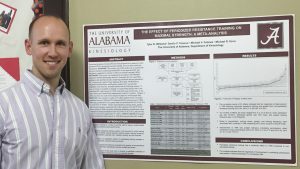 Members of The University of Alabama faculty will be honored for their research contributions at the upcoming Faculty Research Day. As Read more. Written by Reginald Allison II │ Photo by Kaylin Bowen Laura LePere is the recipient of the 2018 John S. Read more. 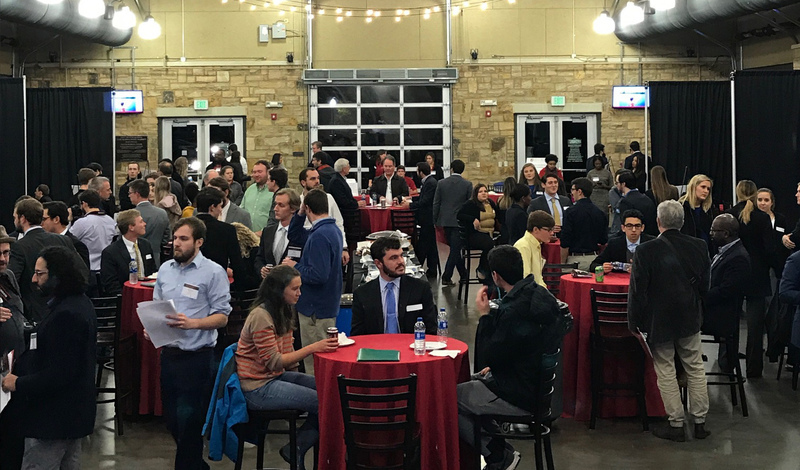 TUSCALOOSA, Ala. — Students representing majors from across The University of Alabama campus pitched their business plans to judges Read more. 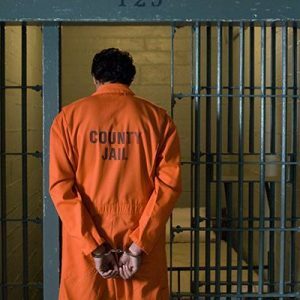 TUSCALOOSA, Ala. — The reasons many people choose to follow autocratic leaders vary across time, culture and circumstances, but past efforts Read more. 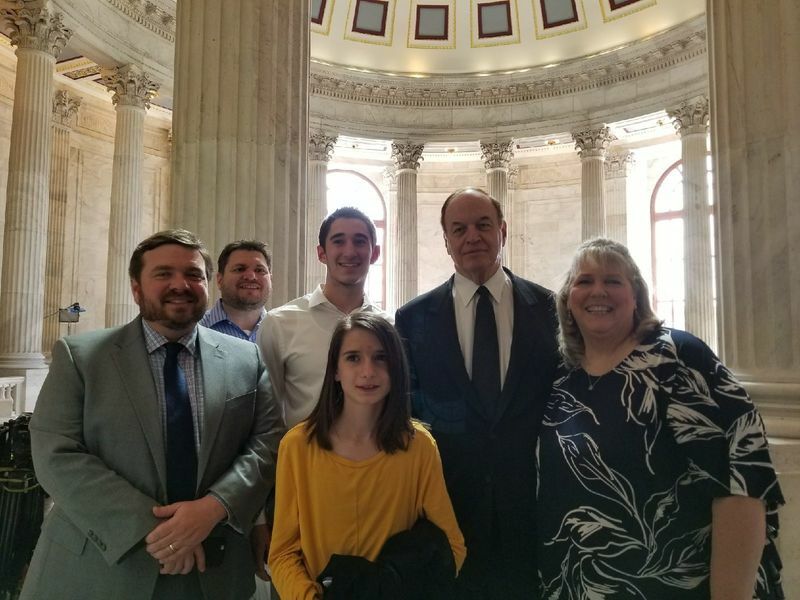 Joseph Pronti in center in white shirt enjoyed a trip to Washington D.C. to participate in the National Association of Health Read more. 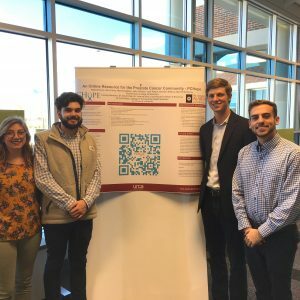 TUSCALOOSA, Ala. — More than 450 undergraduate students at The University of Alabama are highlighting their research and creative projects Read more. 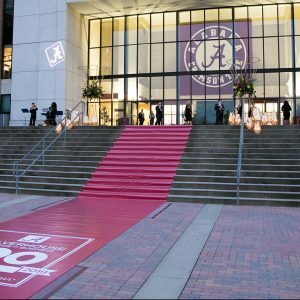 TUSCALOOSA, Ala. — The University of Alabama has announced the recipients of the 2018 Premier Awards – the top individual honors Read more. 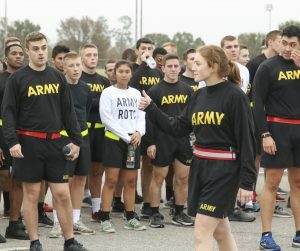 Written by Victoria Martinez In February 2018, Culverhouse, in collaboration with The Boeing Company, offered a bootcamp experience to Read more. 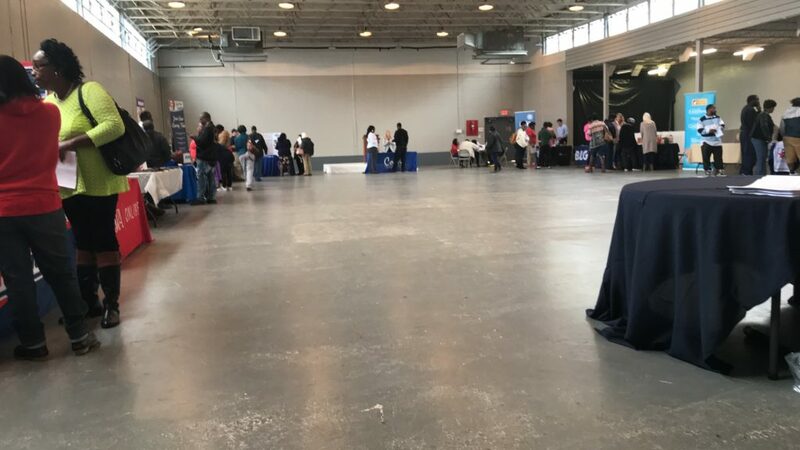 TUSCALOOSA, Ala. — Alabama business executives believe education and workforce training remain the top issue facing the state. 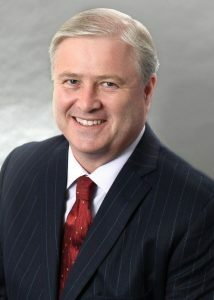 Business executives are Read more. 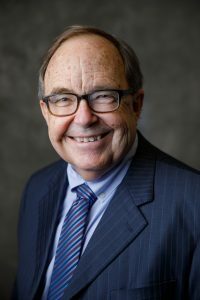 Acclaimed economist Dr. Vernon L. Smith, 2002 winner of the Nobel Memorial Prize in Economic Sciences for his groundbreaking work Read more. K.C. 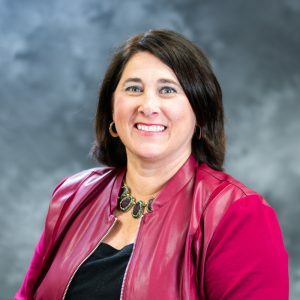 Conway In a recently published white paper, a researcher at The University of Alabama examines the process Amazon used Read more. 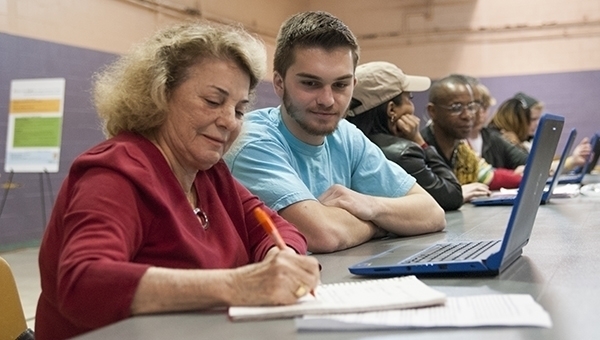 TUSCALOOSA, Ala. — Do you have the entrepreneurial spirit? Do you have a business idea ready to take to the next Read more. TUSCALOOSA, Ala. — Do you have an idea for a new product or a solution to a problem but don’t Read more. 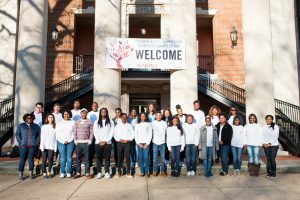 TUSCALOOSA, Ala. — The Culverhouse Learning Initiative and Financial Training program is seeking student volunteers and community participants for its Read more. TUSCALOOSA, Ala. — It’s tough to be the boss. You can’t make everyone happy all the time, and the job Read more. 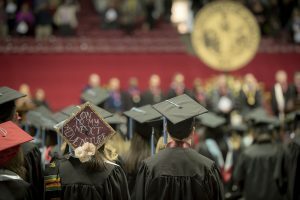 TUSCALOOSA, Ala. — The University of Alabama will hold its winter commencement exercises Saturday, Dec. 16, at Coleman Coliseum on the Read more. 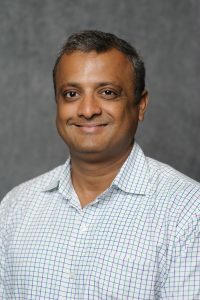 Dr. Vishal Gupta TUSCALOOSA, Ala. — Women CEOs are much more likely than their male counterparts to be targeted by activist Read more. 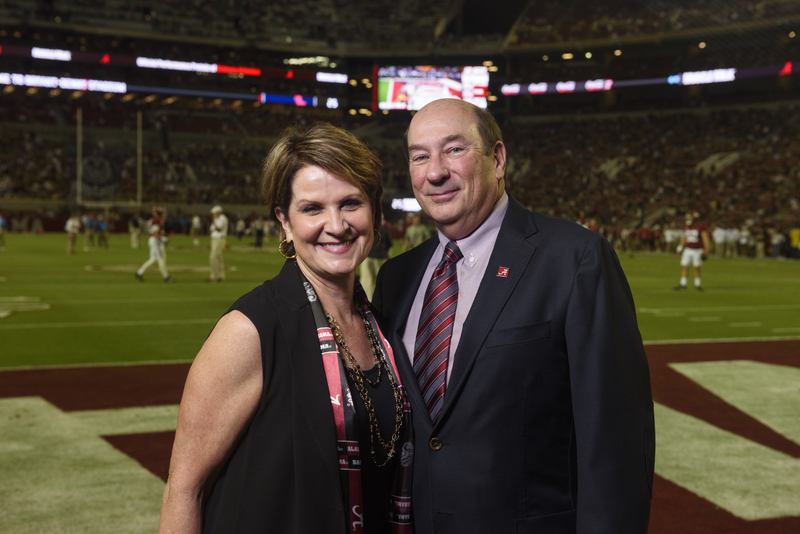 TUSCALOOSA, Ala. — The University of Alabama National Alumni Association has announced the 2017 recipients of the University’s highest honor for Read more. 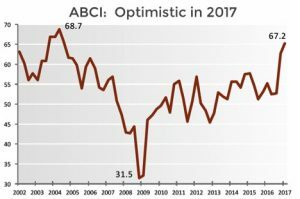 Business confidence in Alabama remains high. 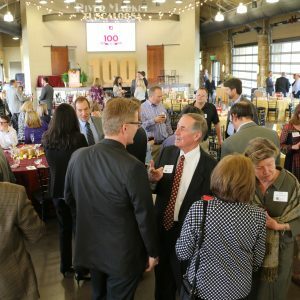 TUSCALOOSA, Ala. — Business confidence among Alabama’s industry leaders remains high heading into the final Read more. 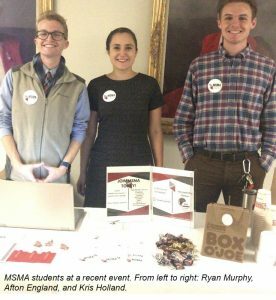 TUSCALOOSA, Ala. — MBA students in the Manderson Graduate School of Business at The University of Alabama Culverhouse College of Commerce have Read more. 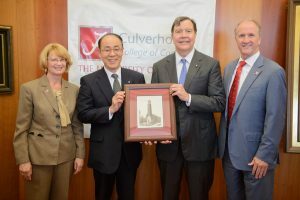 TUSCALOOSA, Ala. — The University of Alabama’s Culverhouse College of Commerce and Business Administration celebrated today a generous $5 million Read more. 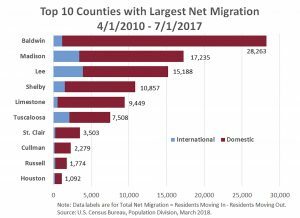 TUSCALOOSA, Ala. — Twenty years after the largest number of initial public offerings in one year took place, a new study Read more. 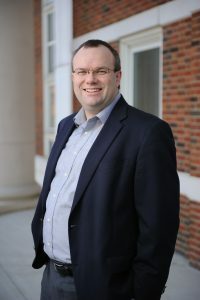 TUSCALOOSA, Ala. — University of Alabama economists anticipate a slight increase in job growth in Alabama through the end of the Read more. TUSCALOOSA, Ala. — Registration is open for the fall session of Culverhouse LIFT, or Learning Initiative and Financial Training. A service Read more. 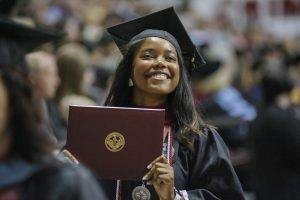 TUSCALOOSA, Ala. — The University of Alabama will hold its summer commencement exercise Aug. 5 at Coleman Coliseum on the UA Read more. 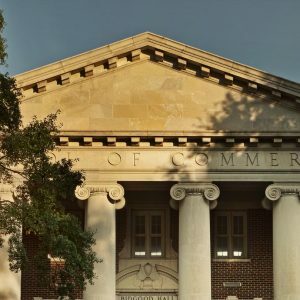 TUSCALOOSA, Ala. — The University of Alabama’s Culverhouse College of Commerce announced six business professionals to be inducted into the Read more. 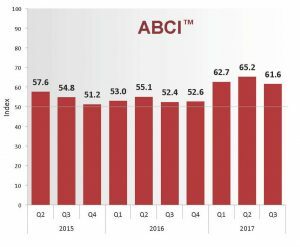 TUSCALOOSA, Ala. — Business confidence among Alabama’s industry leaders remains well above the five-year average for the third consecutive quarter, according Read more. 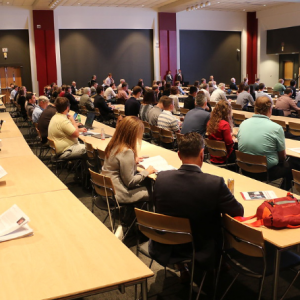 TUSCALOOSA, Ala. — The University of Alabama’s Center for Business and Economic Research will host its second annual Alabama State Read more. TUSCALOOSA, Ala. — It was a perfectly good airplane. Nothing was mechanically wrong with it. And, yet, a young Robert Brackbill Read more. 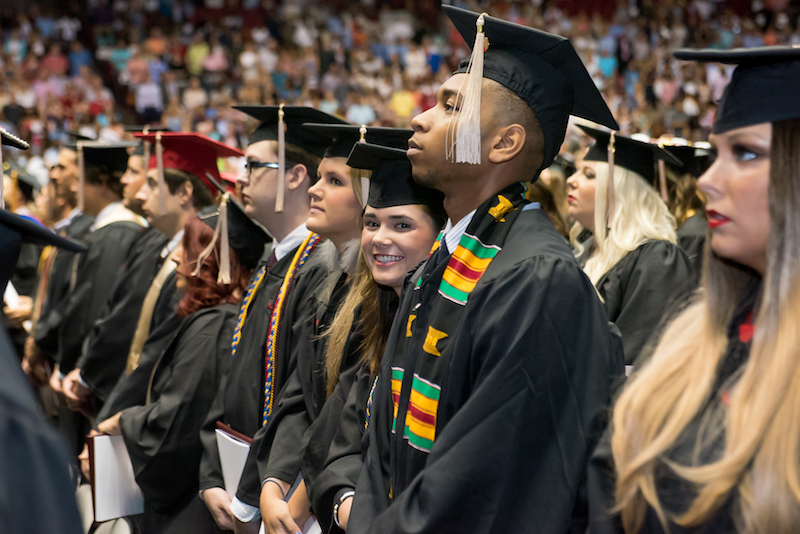 TUSCALOOSA, Ala. – The University of Alabama will hold its spring commencement exercises May 5-7 at Coleman Coliseum on the Read more. 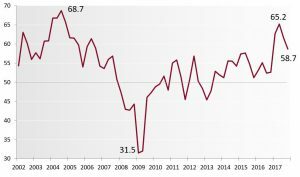 TUSCALOOSA, Ala. — Business confidence continues to increase in the state of Alabama, according to a survey conducted by the Center Read more. 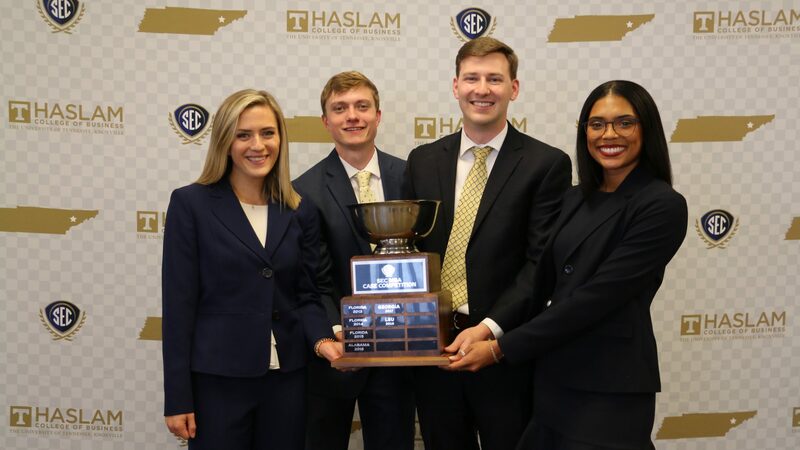 TUSCALOOSA, Ala. – The stakes have been raised in the annual Edward K. Aldag Jr. Business Plan Competition at The Read more. 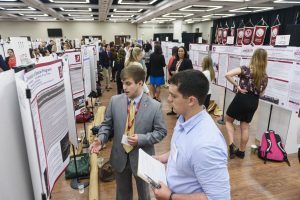 TUSCALOOSA, Ala. — More than 500 undergraduate students at The University of Alabama are highlighting their research and creative projects during Read more. Dr. Katrina Ramonell Justin Magrath Charlotte Watters Chris Lancaster Faulkner Hereford Alexandra Davenport Dr. J. Norman Baldwin Caroline Morrison Lillian Read more. Tyler Williams could use the experience. In the Spring 2016 semester, with a little over a year left in his Read more. 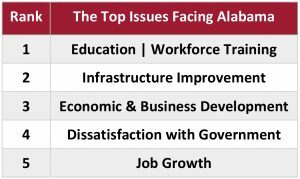 TUSCALOOSA, Ala. – Business executives in Alabama believe education and workforce training comprise the top issue facing the state. Executives are Read more. 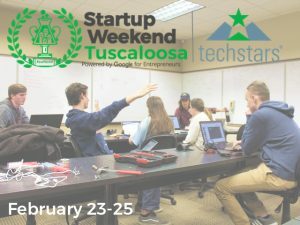 TUSCALOOSA, Ala. — The fourth Startup Weekend Tuscaloosa, a program that encourages entrepreneurial thinking among University of Alabama students and the Read more. 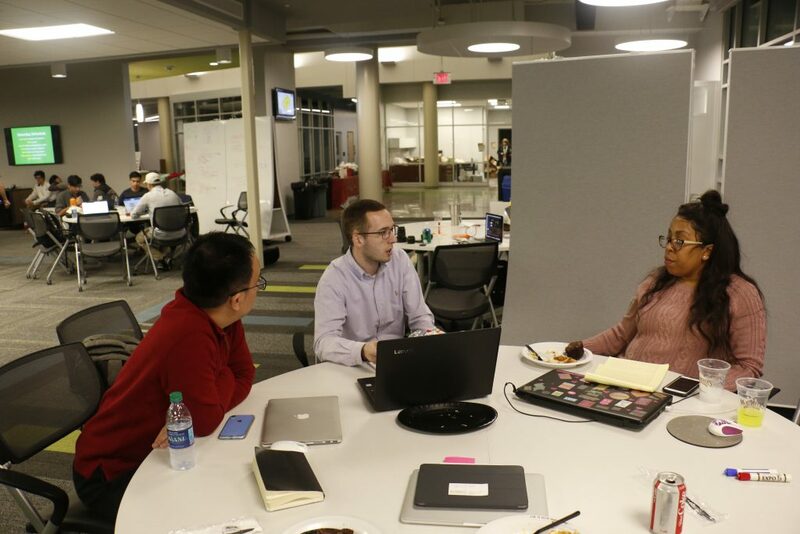 TUSCALOOSA, Ala. —The Edge incubator, in partnership with the Alabama Entrepreneurship Institute at The University of Alabama’s Culverhouse College of Commerce, will host Read more. 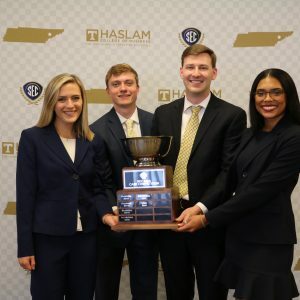 TUSCALOOSA, Ala. — Teams from Indiana University, Xavier University and Alabama State University took home the top honors in The University Read more. 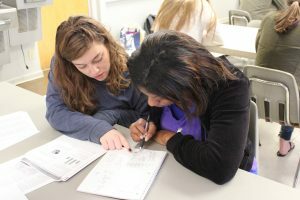 TUSCALOOSA, Ala. — Students will soon have the opportunity to transfer what they learned in the classroom into solving real Read more. 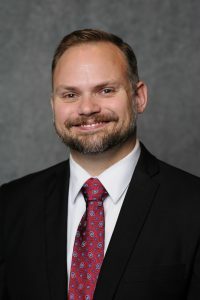 TUSCALOOSA, Ala. – Economists from The University of Alabama will detail their expectations for the state’s economy and workforce during Read more. 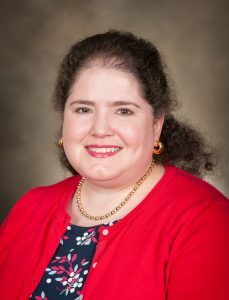 For the 36th consecutive year, The University of Alabama’s Office of Media Relations offers predictions from faculty experts for the coming Read more. 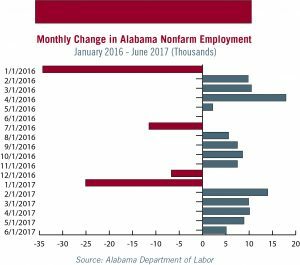 TUSCALOOSA, Ala. — Recent numbers indicate that Alabama job growth continues its slow but solid pace. The state added 24,500 Read more. Overreliance on electronic communication leads to inaccurate financial statements, research shows By Edith Parten Photos by Jeff Hansen The Enron Read more. 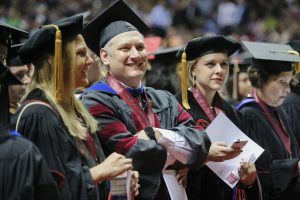 TUSCALOOSA, Ala. — The University of Alabama will hold its winter commencement exercises Dec. 10 at Coleman Coliseum on the Read more. 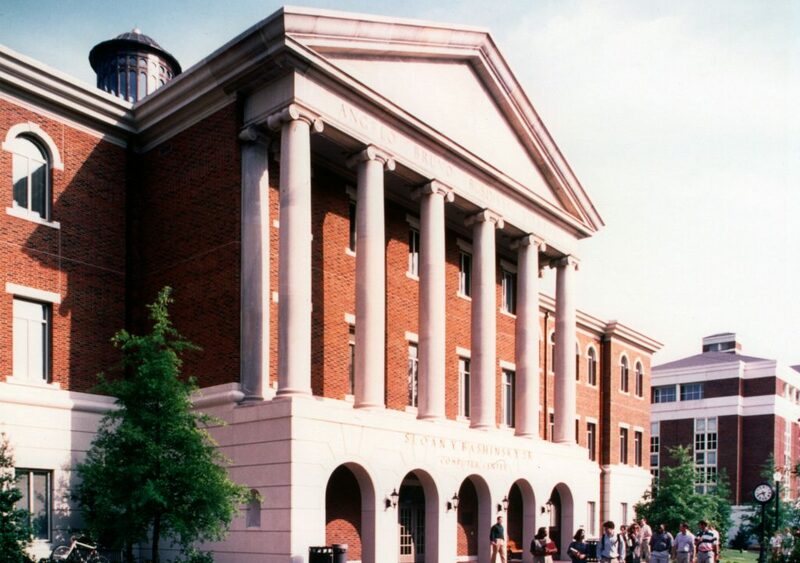 TUSCALOOSA, Ala. — Graduates who completed MBAs from The University of Alabama in 2016 report starting salaries more than 8 percent Read more. 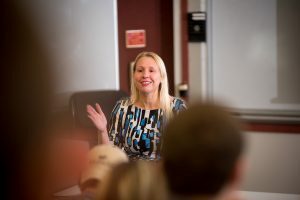 TUSCALOOSA, Ala. — The Center for Business and Economic Research at The University of Alabama Culverhouse College of Commerce received national attention this Read more. 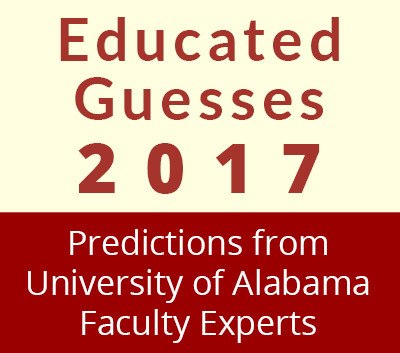 TUSCALOOSA, Ala. – Ten faculty members at The University of Alabama will take part in the 2016-17 Southeastern Conference Faculty Read more. 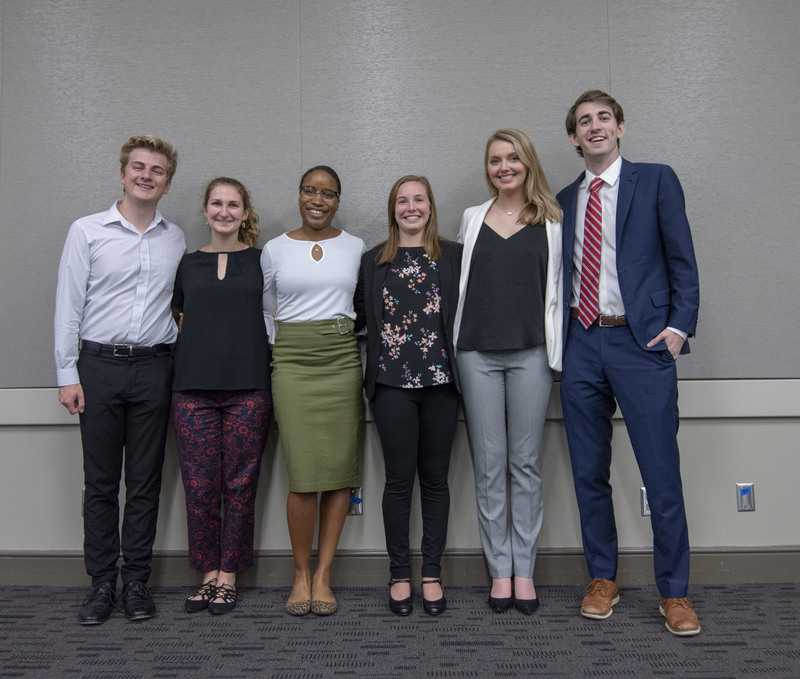 USCALOOSA, Ala. — University of Alabama business students will soon have summer internship opportunities in Japan thanks to Japanese and Birmingham-based Read more. Nearly half a century ago, during the fall of Saigon, two teenagers boarded teetering escape boats, leaving family and country Read more. 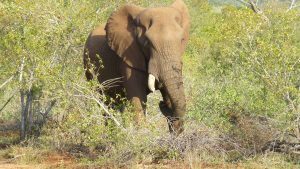 Elephants represent a theme in the two worlds of Dr. A. J. 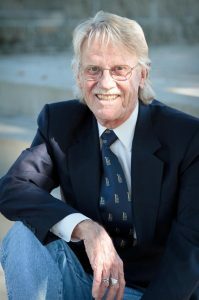 “Lonnie” Strickland, Culverhouse professor of strategic management. This Read more. TUSCALOOSA, Ala. — In January 2015, The University of Alabama’s cheerleading team made history when it became the first division 1A Read more.